On behalf of Admin of JML Law, A Professional Law Corporation posted in Bus Accident on Saturday, Sep 01 2018. So you were involved in a bus accident through no fault of your own, what do you do? First and foremost, if it was an LA Metro bus or any other public bus system in California, be aware that your time may be limited to file a claim. If a public bus driver is at fault, you may have a shorter statute of limitations and specific notice of claim requirements. Call our Los Angeles bus accident attorneys at JML Law. We will review the facts of your case and see that you comply with any applicable statute of limitations and government notice requirements. Bus accidents often make national news because the injuries can be horrific and devastating, and due to buses’ large passenger capacity, the number of people injured can be extremely high. Buses are among the largest vehicles operating on local roads and thanks to their size, they have limited maneuverability compared to that of other cars and trucks. Buses generally cannot stop as fast, turn as well, or swerve as efficiently as cars and trucks and these qualities make them inherently more dangerous than other vehicles. Additional dangers include lack of safety restraints in many buses as well as higher rollover rates due to the vehicle’s height and structure. Whether you were involved in a bus accident as a passenger on the bus, a passenger in another vehicle, a pedestrian or bicyclist, if a bus driver’s negligence caused the accident, you should be compensated for your injuries and damages. A bus driver’s duty of care is different depending on whether you are a bus passenger or a third party involved in the accident. In California, if you are a bus passenger, the driver owes you his or her upmost duty of care. If a bus hits you while you are in another vehicle, or you are a pedestrian or bicyclist, the bust driver’s duty of care to you is lower, but he or she still owes you a duty of reasonable care. Punitive damages are allowed in some cases if you can show that a defendant operated with extreme misconduct. Examples of cases where punitive damages have been awarded include an at-fault driver being impaired by drugs/alcohol or a driver intentionally causing an accident. In California, if a public bus driver is at fault in an accident, punitive damages are not on the table because punitive damages may not be awarded when the defendant is a government agency. Let JML Law help conduct an investigation to gather evidence that helps prove the defendant’s fault in your accident. More and more, buses and private vehicles are equipped with cameras and the bus involved or other drivers on the road may have accident footage on their vehicles’ cameras. 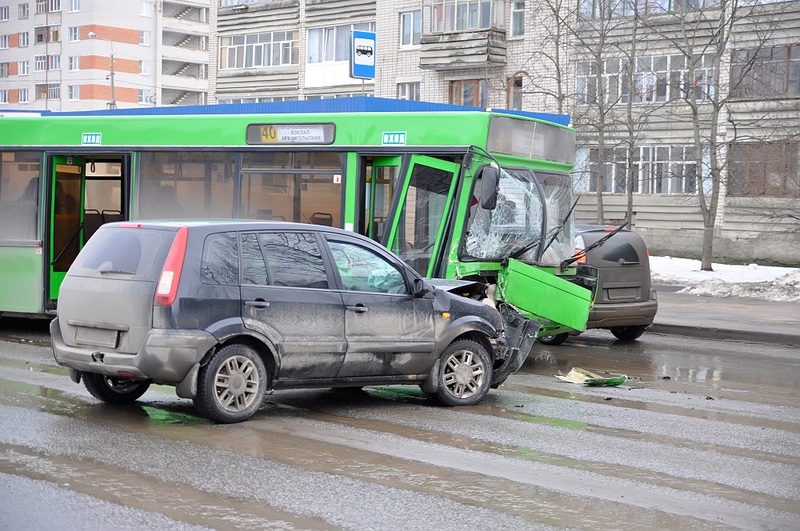 Our Los Angeles bus accident attorneys will seek out witnesses to interview and look over accident reports. We will also look into factors that may have caused the defendant driver’s impairment due to sleep deprivation, drugs, alcohol, or medical conditions. Let us be your advocate to see that you are fully compensated for your injuries and damages.